Should the NHL Make Its All Star Game "Count"? Shortly after the 2002 Major League Baseball All Star Game was ruled a tie (no crying in baseball? Well there aren’t supposed to be ties either), the league decided to award the winning league home field advantage in the World Series. While MLB’s “Mid-Summer Classic” has seen ratings fall the last few years, the first few seasons with the new rule were a success. Baseball fans were curious to see how the managers would go about trying to win the game and get home field advantage for their league. The question I pose is why doesn’t the NHL give this system a try? Believe me, I know many of you reading this are rolling your eyes and probably scrolling down ahead to rip me in the comments without hearing me out. But I would appreciate it if you bear with me for a second, I’ll offer some counters to the most popular criticisms to this idea. First and foremost people have dismissed this idea due to injury concerns. Nobody wants to see their leading scorer get injured playing in a game that doesn’t directly count in the standings. While that is a fair concern, it is just one game. Every four years (unless Gary Bettman and company do something stupid and prevent the players from participating) the NHL takes a hiatus for the Olympics. That tournament includes many, many more NHL players playing in a bunch of high stakes games. Injuries happen at the Olympics and we just chalk it up to bad luck. Olympic hockey is almost universally loved by hockey fans. No Sharks fan is going to wish NHL players didn’t go to the Olympics because Marc-Edouard Vlasic hypothetically got hurt playing for Team Canada. The Olympics are about growing the game and the NHL feeds off that momentum. Remember Zach Parise’s late tying goal in the 2010 Gold Medal game? Or T.J. Oshie’s magic in the shootout in 2014? These moments were huge for growing the game in the United States. The other primary concern brought up from others about this idea is that it is simply not fair. When it comes to the Stanley Cup final, the team with the better record deserves home ice. However, is this really true? The Western Conference is widely considered the tougher conference. Therefore, it is easier for a top team in the Eastern Conference to bank points against bad division teams. If the Pittsburgh Penguins have a better record going into the final against the Chicago Blackhawks, do they really deserve home ice? Maybe, but to me it isn’t that cut and dry. For instance, remember the former North-West division? The Vancouver Canucks got to play divisional games against Edmonton, Calgary, Minnesota and Colorado. They were frequently overrated based off their record playing more frequently against weak competition. Instead of better record, home ice in the final could be determined by head to head. That however, is just two games, and would often be tied. Plus, depending on the time of year, do two random regular season games mean much? Sometimes the regular season games in a matchup do end up being a strong indicator about an upcoming playoff series. However, many times the regular season records between teams end up meaning nothing. Most NHL coaches answer those questions every year before a playoff series by saying what happened in the regular season doesn’t matter anymore. Truth be told, there isn’t any perfect way to award home ice for the cup final. Would it be so bad to try this type of All Star Game? In baseball, hockey, and even the NFL, the All Star Game used to be popular as an exhibition. However, these days the interest from players and fans seem to be dwindling. The NHL has made tweaks recently with captains and fantasy drafts, and the NFL’s Pro Bowl has made similar alterations. But if you ask me, the NHL’s drafting has gone stale. Team Staal vs Team Giroux just doesn’t have much intrigue anymore. Back in the day the NHL All Star Game was much more popular. Remember Owen Nolan calling his shot in the 1997 game? That was a memorable moment for sure but lately we haven’t had many memorable moments from the NHL All Star game. Yeah it is cool to see some fancy passing, wicked shots, and great saves but with little to no defense? We all know how talented these guys are, with no real defense being played, it isn’t that exciting. Perhaps if the NHL gave this a shot, it may not last in popularity. Just how like baseball’s excitement has dropped off. But where is the down side to giving it an opportunity? With the Western Conference being the juggernaut conference, there could be a bit of a rivalry restored between a David and Goliath type matchup. On the ice, both teams will have equal share of super stars but in the stands, some bragging rights over who has the better conference and home ice in the final? That could create some excitement and animosity between west coast fans and east coast. Furthermore, and perhaps I’m alone in this, but my vision is to have the All Star Game count as one of a handful of outdoor games. While I’m on a record as saying the Winter Classic has lost it’s mojo with the other stadium series games, multiple outdoor games can still work. If each outdoor game had a unique aspect to it, then having multiple games might not take away as much from the Classic. Canada can have the Heritage Classic, and a third outdoor game would be the All Star Game. As mentioned above, all of us hockey fans love the Olympics. Watching Canada and the USA play each other is like watching All Star lineups play for the Stanley Cup. Would it not be nice to see tons of great players share the ice for one meaningful game each season? Instead of having to wait every four years? Another part of my vision for this game, includes my mouth. My mouth, because I’m drooling just thinking about the possible lineups. Forecasting ahead, how awesome would it be if between the pipes at one end you have Nashville’s Pekka Rinne, and at the other you have King Henrik Lundqvist of the New York Rangers? The Eastern Conference coach throws out Sidney Crosby centering Evgeni Malkin and Claude Giroux, with Victor Hedman and P.K. Subban on defense. 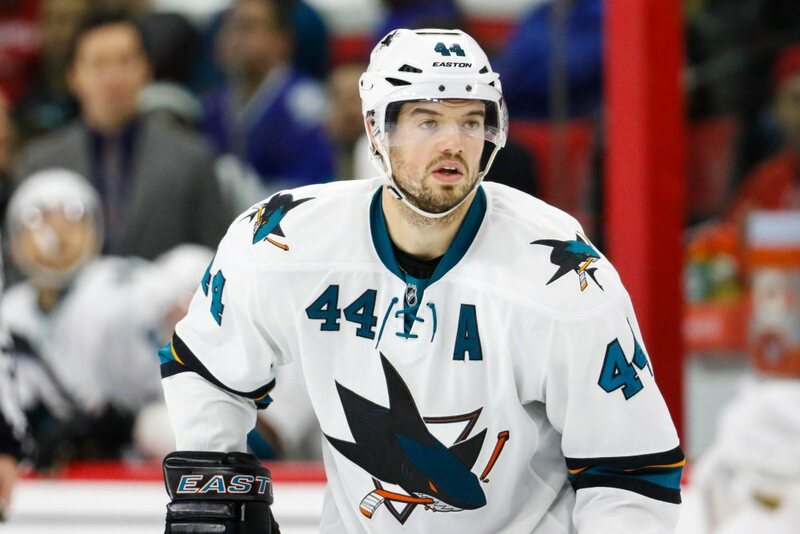 The Western Conference coach counters with chemistry of his own as he has Ryan Getzlaf centering Jamie Benn and Tyler Seguin up front with Canada’s rock star defense pair of Marc-Edouard Vlasic and Drew Doughty. These types of players share the ice in All-Star Games every year but getting to watch them play full throttle together? Wouldn’t that be awesome to watch? The Western Conference could back that starting line up with a second unit of Joe Pavelski, Joe Thornton, and Jeff Carter, the Triple J line. Instead of Rinne and Lundqvist coming out of the game after one period as they would with the current format, they stay in the whole game. That would be pretty cool to watch, plus a real game with All Star players going on power-plays and killing penalties. Down a goal late in the third period, Eastern conference pulls their goalie and Jakub Voracek hops on to join Crosby, Malkin, Giroux, Subban, and Hedman to push for the tying tally! The West has Vlasic, Shea Weber, Thornton, Pavelski and Toews out their for the face-off, three elite face-off men and two pure shut down defenders. I guess I might be the only one whose mouth waters at the thought of this happening. At the end of the day maybe it turns out deciding the home ice of the final by winner of the All Star Game doesn’t really work. But my brother, a die hard Sharks fan just told me he hasn’t watched an NHL All Star Game “in six years.” Making the game count this way seems like the only way a fan like him would ever tune in again.